Do You Have Regrets? If You Could Change One Thing, What Would It Be? I’m a firm believer that regrets are pointless. We can’t change the past and we have no control over the future. Today, at this moment, I have control only over my thoughts and my next step. I’ve made innumerable mistakes throughout my life and I’ve no doubt I’ll make more. For many decades I had an inability to admit mistakes or flaws. On occasion I would admit to being less right than I’d originally thought – but being wrong was not possible. Ultimately, I learned the value of accepting my mistakes or defects of character, making the commitment to learn from them, discovering the virtues in humility, and deciding that focusing on mistakes of the past do not serve me well in the present. Regret and/or guilt are not productive. But if I had to choose one action I would change if I could rewind the years it would be this: I would not over pluck my eyebrows. Yes, that is my regret. 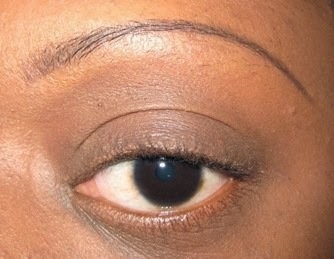 Every time I look in the mirror I see the damage I caused by removing too many errant hairs in my brows. The bushy brows of my teen years are now mere memories. Thanks to my misguided, over zealous use of tweezers, I have thin, nearly invisible (albeit nicely arched) brows. Before Brooke Shields made furry brows popular while nothing came between her and her Calvin’s, the wispy brow was the fashion. Who would have thought they wouldn’t grow back? Those course white cat whisker hairs that sprout overnight grow with impunity! All of the other fur that I shave or pluck grows back speedily and vigorously – such as those annoying hairs that sprout from my chin or the one hair that suddenly appears overnight under my right ear – invisible until it is an inch long. But my eyebrows – once plucked – gone forever. Ah, while Frank Sinatra may have had a few regrets, I prefer to accept the lessons learned from my actions. But, I can’t glue back those brows. And despite the advances in cosmetology, nothing fills the void. Sigh!